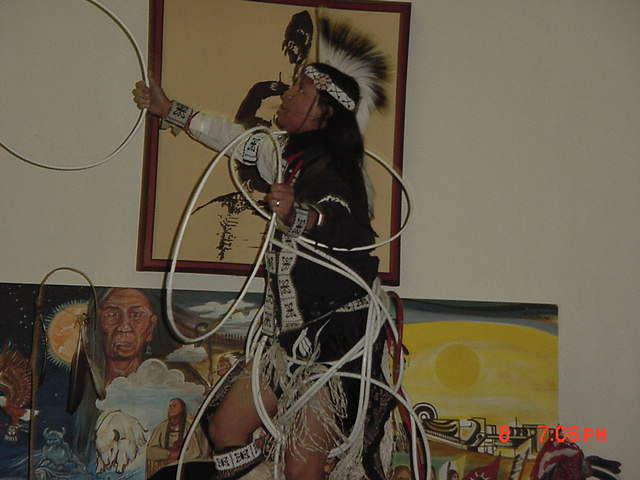 Hoop dancers are recorded on ancient pictographs in the Paha Sapa ( Black Hills ) of South Dakota. 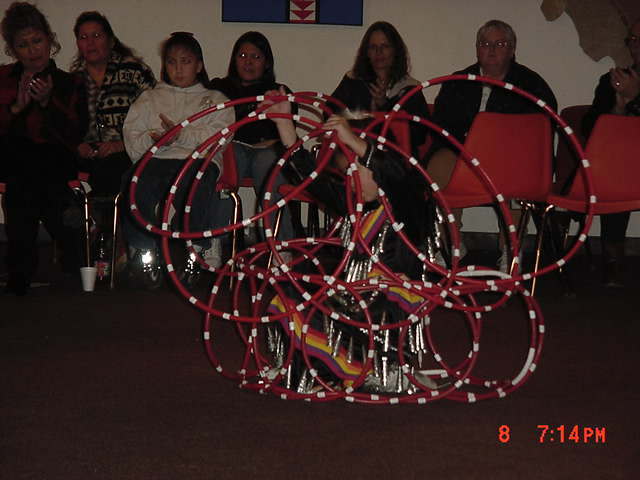 Today, hoop dancers from many tribes continue this tradition, adding more hoops. The hoop is made from the tree and because we are like trees in many ways it reminds us that each of us is both unique and related to all others. The manner in which we take care of our personal hoop/tree determines what kind of relationship we have with the forest. 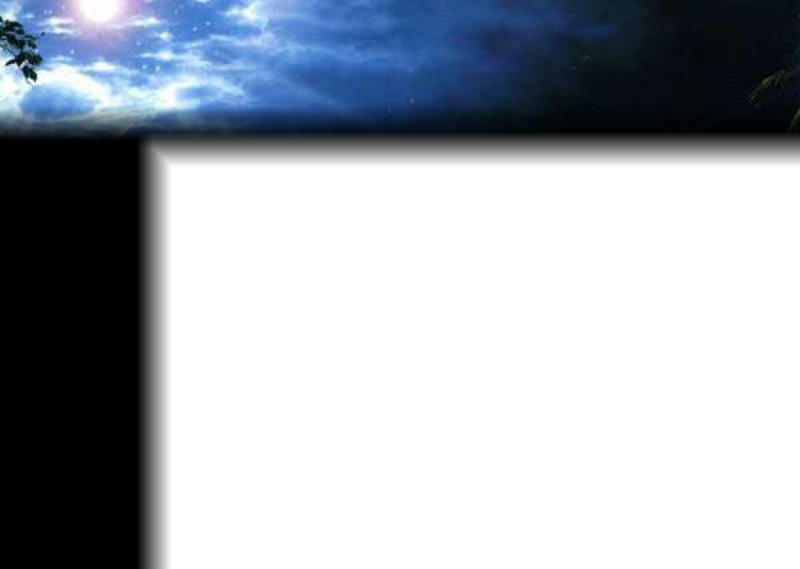 Our ability to reach up ,down, and all around is determined by how we feed the alter within us. 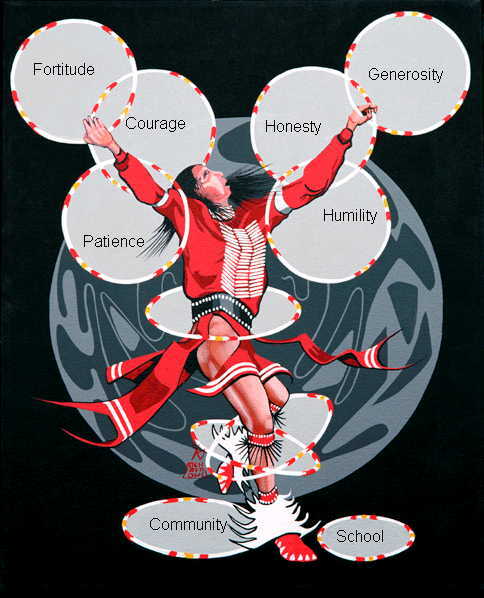 We grow our heartwood, which is the center of our tree, by providing our relatives with the hoops of life ,balancing out the experiences we are given, by giving the virtues we are taught. 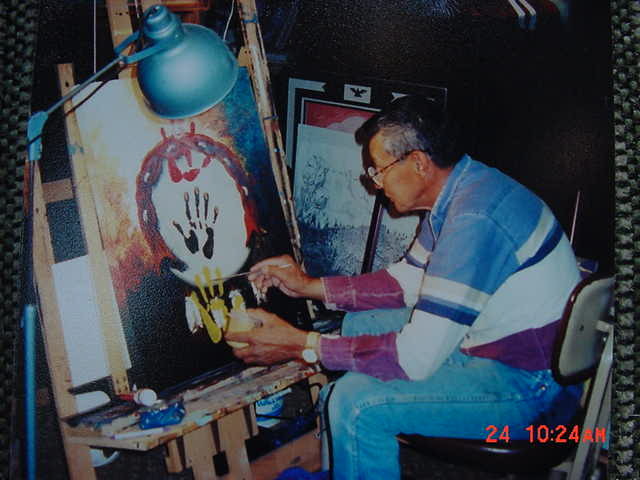 Enjoy the photos below of Dallas Chief Eagle and his daughter, Star and read about the artist, Richard Red Owl, and see the painting created for the bookcover.